Buddha flashing a piece sign. Perfect gift for baby shower. Beautifully rendered hand pulled print by Matley. 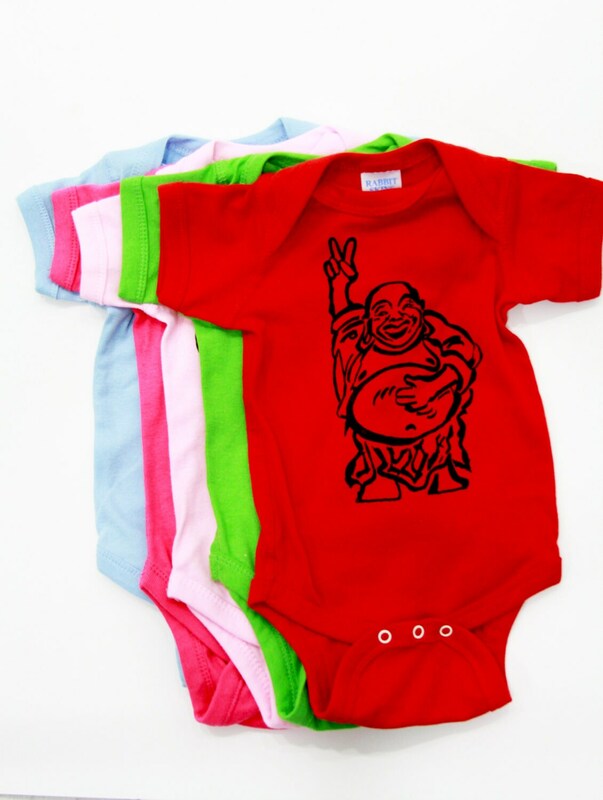 Printed with non toxic-eco friendly water based ink. This listing is for ONE. You have many color options to choose from. Makes a wonderful gift!